Great Value Amber LED Flame Bulb in my LampCEB199303/23/19 at 19:48ace100w120v: Very nice! Were clear and white versions available... Great Value Amber LED Flame BulbsCEB199303/23/19 at 19:47xmaslightguy: I always liked the incandescent version of these. Jackpot on eBayCEB199303/23/19 at 18:39CEB1993: Amen to that! 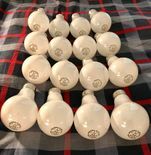 For energy savings, I'd choose ... 55 Watt GE Miser's in Original Warehouse Packaging, Jackpot on eBayCEB199303/23/19 at 18:36CEB1993: Just a little bit. 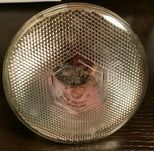 These are 800 lumens instead o... GE 15 Watt Bulbs With Vintage PackagingCEB199303/23/19 at 18:33CEB1993: Yes, these have the C-shaped filament with three s... 55 Watt GE Miser's in Original Warehouse Packaging, Jackpot on eBayCEB199303/23/19 at 18:29Keyless: Are these dimmer then their standard 60 watt bulbs... GE 15 Watt Bulbs With Vintage PackagingCEB199303/23/19 at 18:28ace100w120v: They should.